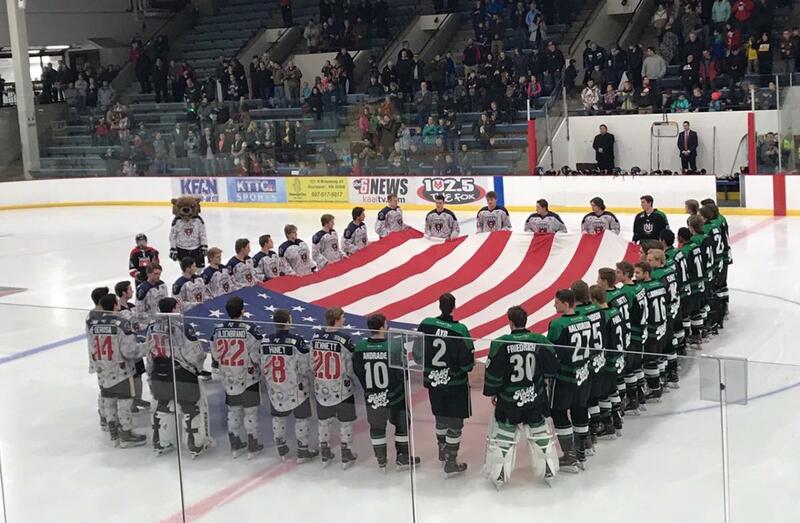 Whether it’s hockey, baseball, soccer, curling, football, roller derby or a visiting tournament, Rochester MN is home to a competition that you&apos;ll enjoy. The wide array of sports options is sure to provide lively, family-friendly entertainment for all ages. Check out the details below and start making plans to attend games, matches, or bouts to cheer on our local Rochester MN athletes! 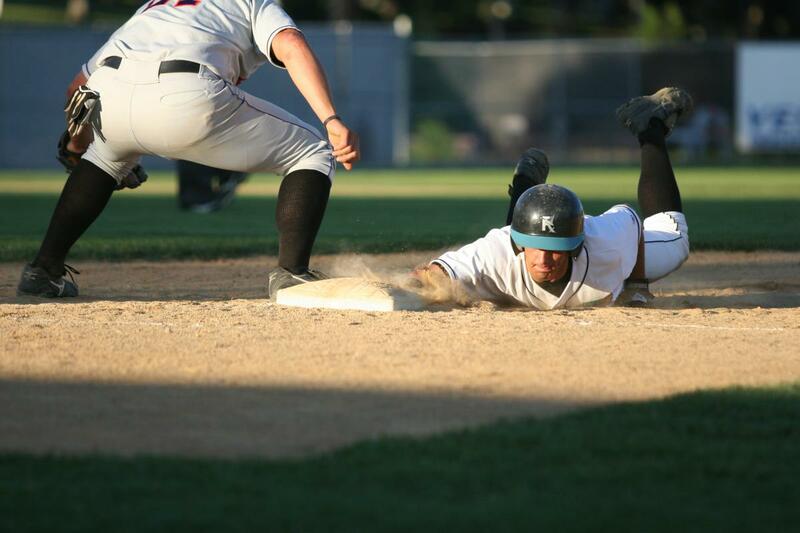 Rochester, MN Sports Teams: Catch the Action! The Rochester Grizzlies are a Tier III junior ice hockey team in the North American 3 Hockey League (NA3HL). The team plays their home games at the 2,600-seat Rochester Recreation Center. The Grizzlies track quite a bit of ice time with more than 45 regular season games, in addition to showcase and postseason games. Come check out Rochester’s newest sports team for a fun, family-oriented adventure! The Rochester Grizzlies make games especially fun for families: with exciting lights and production, special entertainment between periods, and a very special raised stick salute to their fans when they win (pictured above! ), a Grizzlies game will be sure to leave you and your family smiling and ready for more. Website: Rochester Grizzlies. Schedule: click here. Ninety minutes of mayhem! Started in 2017, Med City Football Club (FC) is a member of the National Premier Soccer League (NPSL) and plays in the North Conference, which is one of three conferences in the league’s Midwest Region. The North Conference consists of teams from Minnesota, Wisconsin, North Dakota, and South Dakota. Med City FC is comprised of soccer talent from 11 different countries in Europe, South America, Africa, and North America. In addition, many of the Med City FC players were from the Rochester area and represented graduates from all local Rochester high schools and surrounding areas. Med City FC is a fast-paced, competitive showcase of pure soccer talent. Come out and enjoy Rochester’s top-level adult, amateur soccer league. You will not be disappointed! Website: Med City FC. Schedule: click here. Brand new to Rochester in late 2018 is the Rochester FC soccer team. Unlike the Med City FC, this team is part of the United Premier Soccer League. In addition to an adult team (17 and over), Rochester FC will also offer youth academy teams for under 14 and under 16-year-old players. Rochester FC will start their first regular season and play their home games at Rochester Community and Technical College. Rochester FC’s website provides the new soccer team’s mission statement which in part states, “Objectives of the club include: diversity and inclusion; support of Rochester, Minnesota and surrounding communities; and building local talent through the club system for exposure to collegiate and professional opportunities." Website: Rochester FC. Schedule: click here. With spring/summer right around the corner, it’s never too early to start daydreaming about catching a Rochester Honkers game at Mayo Field in the heart of downtown Rochester MN. The games bring visitors and residents together to enjoy a ball game occurring in a stadium built on land given to the city by the Mayo brothers. Since 1994, the Rochester Honkers have called Mayo Field, which sits along the Zumbro River, home. Families will enjoy Honkers games for the kid-friendly aspects. After every home game, kids can run all the bases at Mayo Field. If you have a super-fan in your home, consider joining the Honkers Kid’s Club for $15. Each member receives a Kid’s Club Honkers jersey, admission to all six Sunday home games and two day games, a Kid’s Club camp and more. Slider, the Honkers mascot, is a perennial fan favorite. He’ll pose for pictures, get the crowd involved in fun games and even engage in some crazy on-field antics! Honkers games showcase the highest level of competition, playing facilities, and atmosphere with game promotions, entertainment, concessions, and hospitality venues, which all contribute to a fun-filled, family-oriented experience. Website: Honkers Baseball. Schedule: click here. What once started as a minor league affiliate of the Kansas City Royals in 1924, the Rochester Royals are now a Minnesota Amateur Baseball team composed of local players. With a 25-man roster consisting of both former and current college and professional athletes, the Royals team is Rochester’s longest standing baseball franchise. The Royals have most recently appeared in State Tournaments (2015 and 2016), so come down to Mayo Field to enjoy some baseball in your backyard! Website: Rochester Royals. Schedule: click here. Experience Base Ball (that’s the historical way to write it!) like you’ve never seen it before with the Roosters and Hens at the History Center of Olmsted County’s Schmitt Field. The teams play in period-accurate uniforms, with replica bats and balls and follow the 1860s rulebook. Established in 1997, the Roosters are an integral piece of the men’s division of the History Center vintage base ball program. The name was chosen to symbolize pride and strength – and to pay homage to the days when farmers and townsmen heard the rooster’s call at the start of each day! The Hens were established in 2004 and is comprised of women and children. So, come on down and experience a piece of American history right in your backyard at the History Center of Olmsted County. Website: Roosters and Hens Base Ball. Schedule: click here. Established in 2011, Rochester’s very own Med City Mafia Roller Derby is a team that shatters stereotypes! MedCity Mafia Roller Derby is an official WFTDA (Women’s Flat Track Derby Association) member team. Comprised of a diverse team of women of all ages, backgrounds, and shapes and sizes, they are professionals, teachers, nurses, artists, naturalists, writers, students, and parents. What binds the team together…their love of derby and their need to skate! Website: Med City Mafia. Schedule: click here. The Med City Freeze is a full contact 11-man Minor League football team. The team debuted in the Spring of 2016 and has instantly brought the area a fun, safe and exciting environment that the fans can be proud of. Med City Freeze is a team in the NEFL (Northern Elite Football League). Besides exciting football, be on the lookout for multiple events for kids, such as football camps hosted by Freeze players and other community projects. Come join in the #freezeup excitement by checking out an upcoming game! Website: Med City Freeze. Schedule: click here. Rochester, MN Tournaments, Leagues & Club: Join in the Fun! 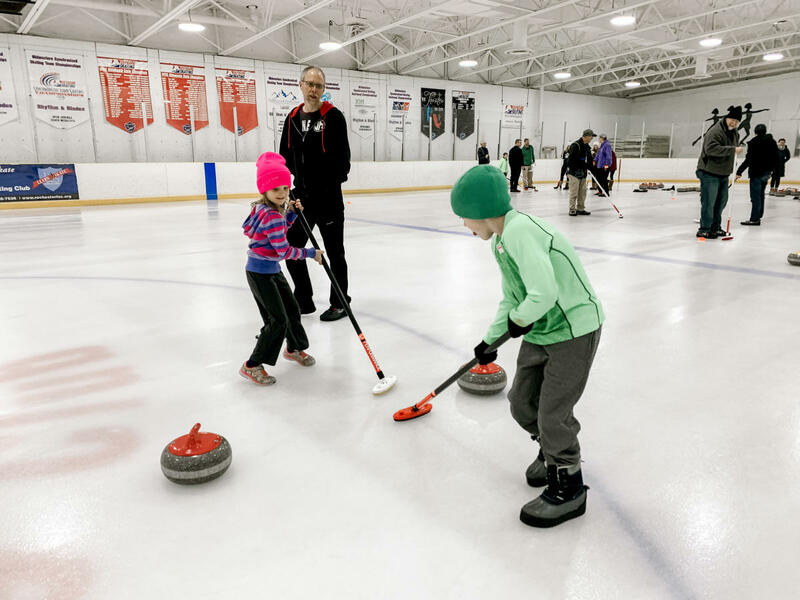 Founded in 2017, the Rochester Curling Club is a volunteer organization devoted to bringing back the sport of curling to the city. The club has created numerous classes, leagues, bonspiels (curling tournaments), and social gatherings to add hype to the popular pastime. This all-inclusive sport comes with a culture all its own. Come experience competition brewed with kindness, sportsmanship and equality in one of the various curling opportunities in our great city. Website: Rochester Curling Club. Events: click here. Leagues: click here. The Rochester MN Park & Recreation Department organizes team leagues for adults in volleyball, dodge ball, basketball, kickball, and broomball. Gather your friends and family to create a team for one of these fun organized competitions!.You’ll be able to bring a little healthy competition and your competitive edge to the games and blow off a little steam with year-round opportunities. Website: Rochester Sports Leagues. Schedule: click here. If tournament competition is more your style, Rochester MN Sports is an organization that brings athletes from all disciplines to our city to compete in over 80 annual events. The competition seen in the Rochester MN area is sure to provide spectators with the perfect match, bout, meet, or game to pump you up. Website: Rochester MN Sports. Calendar: click here. Find other Things to Do in Rochester, MN and view the city&apos;s Events Calendar.